Charlotte Downsizing, Estate Sale & Liquidation, and Senior Move Expert! Hello! 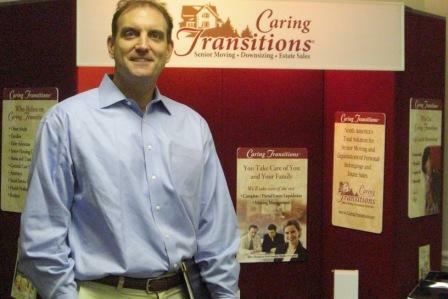 My name is Todd Wolfram, President of Caring Transitions serving South Charlotte and the surrounding communities. A Passion for Helping Families!!!! My 20 years of executive experience includes finance, sports marketing, real estate and non-profit but my decision to help families is influenced by my own experience. When my son was first diagnosed with autism, I recall how emotions impacted my ability to work, think, and successfully facilitate the needs of my family. Following the support of family members and some wonderful therapists, he continues to overcome challenges never thought possible. This experience drives me every day to build a company committed to helping families during emotional times. Let us help your family make rational decisions during an emotional time. We look forward to working with you and your family. We are Advocates for your Family!!!! Todd, I just wanted to tell you what a pleasure it was working with you and your team. You helped us accomplish all your goals, getting maximum value for our asseets, getting the house ready for sale, and we even happen to sell the house to one of our estate sale clients. Feel free to use us as a reference at any time. I often think about how I could have never managed everything without your help. Whew! Still amazes me that we wrapped everything up! Feel Freee to use me as a reference and come see us if you make it down to Florida! Todd, thanks again for your continued support and help through this difficult transitional period. As you are aware divorce can be difficult for parents as well as kids. Working with you and your team hs helped ease the stress associated with distribution of the household assets. You were professional and honest please do not hesitate to use me as a reference. Todd, thanks again for all your help you definitely went above and beyond on this one! You certainly helped ease the stress involved with the transition of downsizing my family. Mr. Wolfram, it was a pleasure working with you and your staff. Your commitment to your client and her best interest was very evident during the process of moving a 92-year old wheel-chair bound women from Nashville to Charlotte. This move presented unique challenges and your company handled them all with professionalism and skill. I will not hesitate to work with Caring Transitions of Charlotte again or trust you to assist with my own parents. Todd, thanks for your help in my move to San Diego. It was nice to be able to sit by the pool while you and your team took care of the move from Charlotte. You saved me money and more importantly the time associated with flying back to Charlotte for the move. I was also happy you were able to find a solution to the cleaning supplies. I am happy to have them donated to your non-profit organization. Todd Wolfram Featured on "Charlotte Today"
Consultation for Asset Solutions, Senior Moving, and Senior Relocation -- FREE!! Reducing the emotional and physical stress for more families in the Charlotte area than any other company!! Downsizing, Divorce, Death, and Disability! 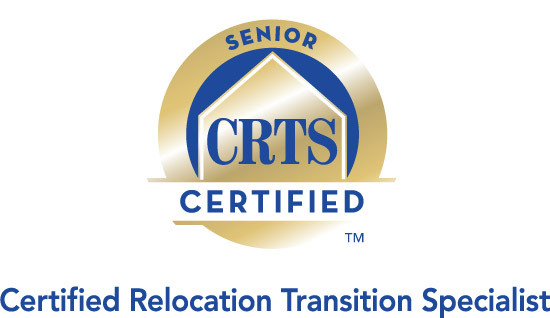 We are the Answer to that question "What do we do Now"
Help make our transition services the total solution for families coping with Senior Moves, Downsizing, or Estate Sales. To become one of our Caring professionals today. Contact Us!